The following true story may offer some insight as to how one small organization leveraged its existing relationships creatively. I have withheld names by request, however if you contact me for specifics, I can share more. It is told from the point of view of my experience with a start-up software company. In this story, everybody wins, and social media makes it possible. No, it’s not a multi-million dollar landslide victory, but it’s an important demonstration of how incremental change yields great results. Software company purchases speaker/sponsor role at Executive Summit, and negotiates with summit management to discount* sponsor/speaker fee for every attendee the software company recruits. *Note: discount arrangement was only possible because the Summit management company and the Software company had previously exchanged value by partnering on other successful events that similarly enriched their communities. – on industry portals, professional organization sites, and communities such as LinkedIn, Twitter, etc. Announcement goes “somewhat” viral – LinkedIn, re-Tweeted, blogged. Event website, SW firm site and community portals are linked back from those sources – expanding the community’s resources and increasing brand value for all involved web properties. Discount code announcement combined with viral circulation results in increased event revenue sufficient to WIPE OUT entire speaker/sponsor fee (over ten thousand dollars) for Software company while significantly increasing the value of the event for all. This success story has no precise ending, because we have agreed to continue the partnership. One thing seems reasonably certain at this juncture: there is no going back. Heightened audience expectations must be nurtured to keep bringing the mutual benefits to this enriched community. Once you have built a community, it requires care and feeding to thrive. How have your community building efforts fared? Do you have a story to share? Love to hear your comments. Subscribe to get blog updates via the Subscribe box (above right) . Share this post with others via the Share link (above right). Buyer Bias: How Deep is Your Dive? We all know that qualifying prospects involves confirming BANT (Budget, Authority, Need, Timeframe), but what about the more complex fit issue of “Bias”? Most sales people know that Bias is where the sale is won or lost, and most readily admit that bias is often the hardest to discover. It is just as important to know why you lost a sale as it is to know why you won it, and without accurate insight, your strategy and execution suffer. Confirming BANT just tells you the prospect is shopping. Understanding their bias helps you know what options they favor, and why. Although some bias factors, such as technology fit, may be easily solved in the “lead scoring” process, which any inside sales rep or landing page/lead nurturing automation program can do, there are often deeper undercurrents – biases – such as relationships and capital flow that strongly influence buying decisions. That information, too, can be discovered, but how much effort can you afford to commit, and how systematic is your discovery process? Indeed, how much effort can you afford not to commit, and can you afford not to be systematic about it? Wouldn’t you like to improve your sales closure ratio, after working so hard nurture that prospect? It seems some bias factors are not so obvious. In a recent conversation with a colleague, Fred Mikkelsen, a well respected sales engineer, Fred shared a few anecdotal examples illustrating how individuals and organizations are challenged to solve the hidden bias dilemma. Due diligence on the part of the salesrep can go a long way toward building a composite profile of each prospect, which greatly aids account planning and accurate forecasting. The next logical challenge is storing, retreiving and mining this data to attain pivotal insight about trends among buyers and market forces – a “closed loop” intelligence gathering and assessment process that can be leveraged beyond the individual salesrep, across the organization. That salesrep’s firm’s powerful internal systems and channels were not configured to expose and leverage this valuable informaton. In both these cases, professionals are repeatedly confronted with the need for a closed loop, intelligence sharing process that can be leveraged across their respective organizations. Charting Bias for Fun and Profit – Who’ll do it? Plotting the history, texture and landscape of corporate relationships and buying decisions can influence the effectiveness of marketing campaigns and developing sales plans. 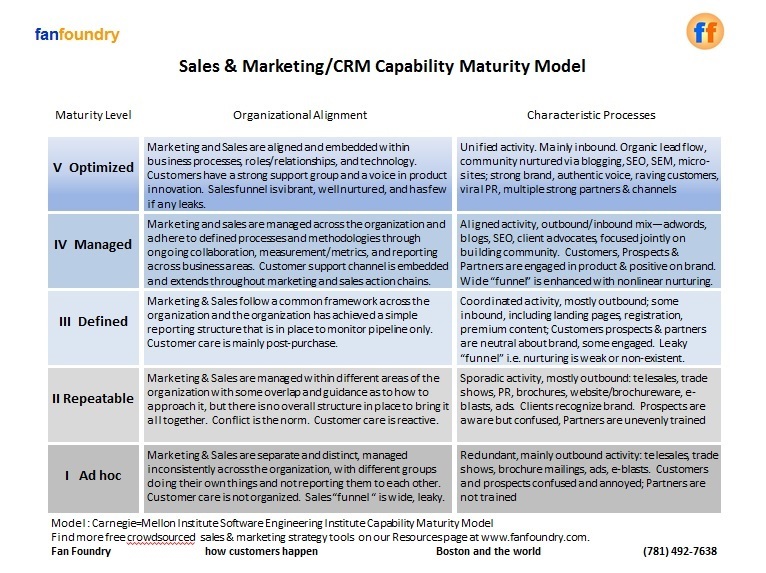 This information can, to some degree, be worked into your SalesForce.com schema and your direct marketing efforts. The missing link, however, is an efficient platform that can mine disparate resources, aggregate data, and provide a means to assess, expose and report on prospect and customer relationships and decision processes to better inform your organization’s strategy for sales, service and support, product development, and human resources. In its most basic form, your organization’s internal and external sources of bias information are just data, like so much gasoline sloshing around in the tank, waiting to be consumed. It now needs a well tuned engine to maximize its potential. Open questions: Is your outfit a data “gas guzzler” or a well tuned machine? How do you and your organization mine and manage bias information to inform your product, sales, support and human resource planning? How do you leverage systems effectively, and coordinate among multiple sources and inputs? What are you doing to innovate your systems to capture bias related information to improve results? Comment below using the handy Reply form. I’ll aggregate and report.